CONTEXT matters, and CONTEXT is often missing in news reports about Israel-Palestine. A study of 50 years of headlines in 5 top newspapers finds that media coverage of Israel-Palestine favors Israel by providing more overall coverage, more positive coverage, and greater access to Israeli voices than to Palestinian ones. Much of this can be attributed to pressure from the pro-Israel lobby. The study, conducted by 416Labs, a Toronto-based consulting and research firm, is the largest of its kind. Using computer analysis, researchers evaluated the headlines of five influential U.S. newspapers: the Chicago Tribune, Los Angeles Times, New York Times, Washington Post ,and Wall Street Journal from 1967 to 2017. The study period begins in June 1967, the date when Israel began its military occupation of the West Bank and Gaza Strip – now officially termed the Occupied Palestinian Territories – following its Six Day War against Jordan, Egypt and Syria. Methodology involved the use of Natural Language Processing (NLP), a type of computer analysis that sifts through large amounts of natural language data and investigates the vocabulary. NLP tabulated the most commonly used words and word pairs, as well as the positive or negative sentiment associated with the headlines. The Fifty Years of Occupation study reveals a clear media bias first in the quantity of headlines: over the half-century period in question, headlines mentioned Israel 4 times more frequently than Palestine. The study revealed other discrepancies in coverage of Israel and Palestine/Palestinians as well. For all 5 newspapers studied, Israel-centric headlines were on average more positive than the Palestinian-centric headlines. In order to measure sentiment, the study employed a “dictionary” of words classified as either positive or negative; each headline was scored based on its use of these words. The study also found Palestinians marginalized as sources of news and information. A simple case in point: The fact-checking organization Pundit Fact examined CNN guests during a segment of the 2014 Israeli incursion into Gaza, Operation Protective Edge. Pundit Fact reported that during this time, 20 Israeli officials were interviewed, compared to only 4 Palestinians, although Palestinians were overwhelmingly victims of the incursion with 2,251 deaths vs. 73 Israeli deaths. The study’s data reveal what it calls “the privileging of Israeli voices and, invariably, Israeli narratives”: the phrases “Israel Says” and “Says Israel” occurred at a higher frequency than any other bigram (2-word phrase) throughout the 50 years of headlines – in fact, at a rate 250% higher than “Palestinian Says” and similar phrases. This indicates that not only are Israeli perspectives covered more often, but Palestinians rarely have an opportunity to defend or explain their actions. This imbalance matters, as official Israeli government policy is effectively made an intrinsic part of the discussion of the conflict, while the views of Palestinians living under occupation are subordinated to the margins. The analysis turned up yet another significant problem with the newspapers’ coverage: failure to report, or to report adequately, on important aspects of the Palestine-Israel conflict. The study found several critical topics that the 5 newspapers failed to cover adequately, resulting in reader misperceptions. A hallmark of the conflict has been the perception that there is an ongoing peace process which, from time to time, breaks down, thereby delaying resolution of the conflict…the dispute is effectively portrayed as being one between two equal warring sides, not one where one group is an occupier and the other the occupied. The researchers emphasize the fact that as the occupation of the West Bank (and de facto occupation of Gaza) drags on past 50 years, the brutality of the Israeli occupation is becoming normalized and its illegality forgotten. They draw this conclusion from their analysis of the unigram “occupation,” which has appeared in headlines less and less frequently, dropping by 85% in Israel-centric headlines, and by 65% in Palestinian-centric headlines over the 50-year period. The blockade of Gaza, and the economic hardships of Gazans under the blockade, were mentioned in Palestine-centric headlines just 30 and 63 times respectively, in the 11 years since the blockade began. As another example, Palestinian refugees – still waiting to be repatriated according to UN Resolution 242 of 1949 – have been forgotten as a group: the words “Palestine Refugee(s)” in headlines has declined by 93% over the last 50 years, reflecting a decline in concern from media. The study reveals similar underreporting on topics including the illegality of Israeli settlements and Palestinians’ designation of East Jerusalem as the future capital of the future Palestinian state. a conflict revolving around security and terrorism, with Israel being the victim…So, for many people, the conflict is understood as a conflict of land and borders between two peoples who have equal claims, not as a conflict between an oppressed and oppressor and colonized and colonizer. As cited by the researchers, Marda Dunsky’s 2008 book, Pens and Swords: How the American Mainstream Media Report the Israeli-Palestinian Conflict, analyzed US media over a 4-year period. One of her most significant findings was the lack of coverage of the international consensus on important issues, for example the almost-universal conclusions that Israeli settlements are illegal, and that Palestinian refugees should be allowed to return to their homes. Greg Shupak’s The Wrong Story: Palestine, Israel, and the Media offers an example from Operation Protective Edge, the Israeli aggression of 2014 into Gaza. He points out that the blockade of Gaza, a key antecedent to the violence, was mentioned only once in the many New York Times editorials on the conflict published just before and during the war. the failure to convey adequately the disparity in the Israeli and Palestinian experience, reflecting the fact that one side is in control and the other lives under occupation…BBC output does not consistently give a full and fair account of the conflict. In some ways the picture is incomplete and, in that sense, misleading. If Americans Knew has conducted six major studies and one shorter study on coverage of Israel-Palestine news and found that media had reported on Israeli deaths at far greater rates than they reported on Palestinian deaths. The studies also revealed the palpable pro-Israel bias, under-representation of the Palestinian voice and the omission or downplaying of critical topics. The American Israel Public Affairs Committee (AIPAC) is a lobbying group that advocates pro-Israel policies to the Congress and Executive Branch of the United States. Some other researchers, however, report a wider range of factors, many connected to the pro-Israel lobby in the United States. 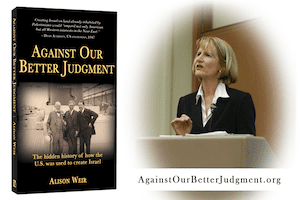 For example, Alison Weir discovered deep links between US media and Israel (e.g. here, here, here, and here). Mearsheimer and Walt reported on the power of pro-Israel pressure in their book The Israel Lobby; Paul Findley in his book They Dare to Speak Out, and others report a wider range of factors, many connected to the pro-Israel lobby in the United States. In many cases, pressure from pro-Israel groups in the Israel lobby, contributed significantly to the consistent slant in mainstream media. Whether online, television, or print, the mainstream media serves to provide most Americans with their daily news. How the media frames the news and presents it to viewers can profoundly shape their perception of current events. Yet numerous analysts, across time and region, have established that this media consistently skews the news when it comes to Israel-Palestine. This results in nations and their governments upholding Israeli priorities rather than those of their own people, and perpetuating injustice toward Palestinians. Kathryn Shihadah is a staff writer for If Americans Knew. Is slapping a soldier in the face worse than shooting a child in the face? Is “Pundit” Actually Israeli Military Officer? Graphs from “Fifty Years of Occupation” media study.